Adventures in America America: As Seen By Me! America: As Seen By Me! 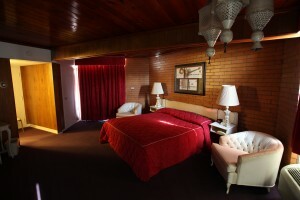 Elvis slept here. Places from around the world – from his old army base in Germany, to luxurious hotels in Hawaii – boast this claim, and use it to attract fans and tourists alike. But there is one location that is a bit unique, and that has been seemingly forgotten: The Trade Winds Motel in Clinton, Oklahoma. The little town of Clinton, OK has a distinction that made it perfect for The King and his entourage: it is the approximate halfway point between Las Vegas and Memphis. During the late 1960s, Elvis wouldperform regularly in Vegas. He preferred to drive back to Graceland rather than fly, and The BestWestern Tradewinds Courtyard Inn was his preferred stop. Elvis and his crew stayed here on four separate occasions, and Elvis himself would always book Room215, preferring the privacy of the corner suite. However, on his fourth stay, a maid happened to peek into the room while the door was opened. After seeing that Elvis was the guest, she went about informing everyone she could that The King was in town! A crowd quickly gathered and Elvis, though he disliked the breach in privacy, obliged them with autographs, and even played ball with some of the children who were there. This moment, however, would serve to be his last in Clinton. 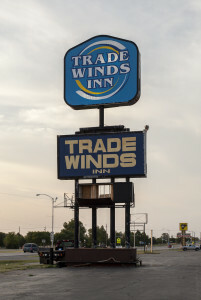 Elvis never stayed at the Tradewinds again. Despite the incident, the owners of the hotel had hope that he would one day return. As a result, Room 215 was persevered as though he would. Over the years, the hotel often changed hands, but with the end of the era of Route 66, the hotel fell into decline. Clinton, OK, which had been put on the map by the famous highway, faded from the memory of tourists, but the room remained. stumbles over to the laundry area. A man in old worn clothing wanders the parking lot, muttering to himself. Pulling into the parking area, no tourist would ever guess that this was once a location fit for The King. Overzealous fans have even stolen the numbers from the door of the room. They have not been replaced. Finally stepping inside the room is like stepping into a hot, musty time capsule. The king size bed is covered with a red faux satin duvet. The vanity remains, as does the black Naugahyde fainting couch. Heavy red curtains cover the large windows, basking the room in a sort of reddish surreal glow. New modern touches have been introduced, like a 20” television with VCR, and a push button telephone. Hanging on the wall are framed CDs of Elvis music, and some tacky memorabilia clearly purchased from the internet. It’s hard to recommend staying the entire night. The motel is very sketchy. We stayed for around 3 hours – much longer than we had anticipated ‐ taking photographs, sitting in every chair, seeing the room the way that Elvis had. When the sun started to fall, we left, satisfied with the experience. Elvis stayed here. Indeed! We had now, too. What a private and personal way to relive a moment in time with The King of Rock ‘n Roll himself! Friedrich Nietzsche said everything. He really did. Look it up. But for our purposes, what he said about travelers is particularly relevant: “Like tourists huffing and puffing to reach the peak we forget the view on the way up.” Being a good Nietzschean, I am loathe to argue with the (uber)man; and so, on my way up from the Cincinnati area, I made a necessary stop in Lima, Ohio. The best way to learn about a place is to either go to an attraction it has that is notable, or, when possible, a museum! There is nothing better than learning while walking (Nietzsche also said something about this, too). Being surrounding by regionally important things is very exciting to me. 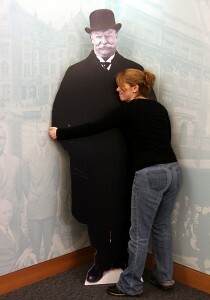 The Allen County Museum offers such an opportunity. 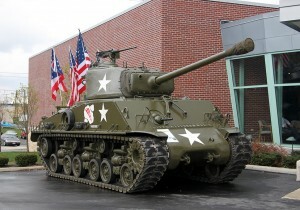 And a tank! In 1933, famed bank robber and all around no-good-nick John Dillinger was being held in the county jail in Lima while awaiting trial. 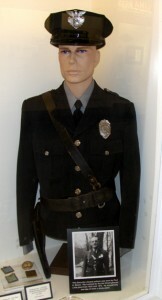 Dillinger’s men impersonated state police officers, shot and killed the sheriff, and Dillinger made his escape. A fascinating footnote in history without a doubt. And you’ll find the jail cell where it all went down right here. 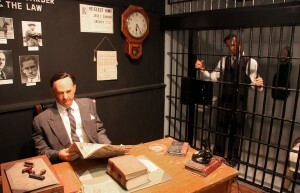 Despite the wooden acting, this is not a scene from the Johnny Depp's Dillinger. But the good people of Lima, Ohio were not satisfied with this one measly exhibit. They wanted a whole museum. So, what’s a town to do? From what I observed: Ask everyone in town to empty their attics and garages, bring it all in, and make yourself a museum! Along with the above relic, one can observe a collage made entirely of things recovered from people’s esophagi (an unusually large number of Lima-ites have swallowed safety pins); a room size scale replica of Mt. Vernon, an old dentist’s chair, a replica of a ye old storefront, and, my personal favorite: the uniform worn by Paul A. Moore. Paul was an employee of Westinghouse in Lima for 30 years. In all that time, he only missed 1 day of work. Good sir, you are a credit to your uniform. Seek, and ye shall eat. I set out to sample Cincinnati Chili at the four most established restaurants in the area: Skyline, Camp Washington, Blue Ash, and Gold Star. Each one had a slightly different take on the dish. One for me stood out among the rest. I had been to Skyline before, and did not enjoy it. If you are reading this post without reading my earlier one, you have no idea why I feel that way. Because you are lazy, I will not do the work again for you. 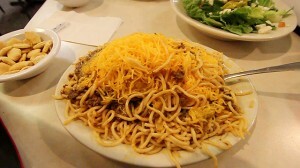 Suffice it to say that when it is not served on top of spaghetti, Skyline is great. What else would you expect from the Official Chili of the Cincinnati Reds? It is a chain, be forewarned, as many people eschew the experience of chain food dining. But I am not many people. On top of a coney dog with a bit of hot sauce, I would give the experience a 3.5 out of 4. 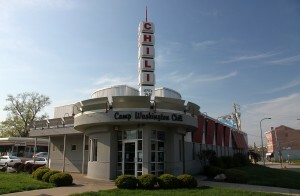 Camp Washington Chili is so named for the neighborhood in which it is located. 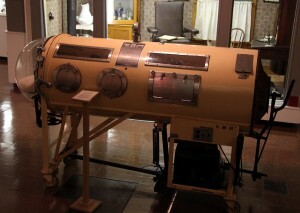 Founded in 1940, it is considered a landmark in the Cincinnati area, and well worth the trip. It is more of a diner experience than the other establishments, and the atmosphere goes a long way. The chili has the most liquid consistency, and the strongest cocoa taste. While certainly worth the visit, it is not the best chili I tasted. Still, a respectable 3.2 rating out of 4, and a must visit for the overall experience. Blue Ash has the distinction of being known as the place where Food Network’s Guy Fieri has visited. 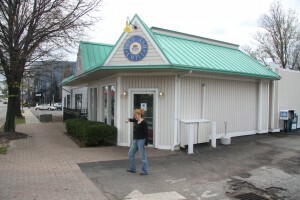 Blue Ash Chili is unimaginatively located in Blue Ash, Ohio, just outside of Cincy. Take note: if you are going here, be sure to prepare for a bit of a wait. At lunch, this place is jammed packed, with people sometimes lined up outside. The power of Guy is very strong here. The chili, however…meh. I found it to be the weakest of all. It wasn’t poor; just, nothing outstanding. Sorry Guy. I would not eat this off a dirty shoe, shattering my illusion that you can trust everything you see on TV. Rating: 2.7 out of 4. Doing my best Guy Fieri. That leads us to Gold Star. It’s another chain. It’s another chili place. And it is the best. Oh, I know this might not be the most popular view amongst the good citizens of Cincinnati; but it’s my blog and I’ll opine if I want to. I had the chili in a bowl, with side of crackers and a fantastic hot sauce that was not too overpowering. It added the right flavoring to pair with the taste of the chili. I have to give it my highest rating of 4 Yums!!! And a yea! To all of you not lucky enough to get to the Cincinnati area: shame. Also, there are recipes on the Internet. This one from PBS’s “Cooks Country” is probably the best of the lot. Please make it and try. You will not be disappointed. A long, long time ago, in a blog post far far away (or here) I talked about the delicious tradition of Cincinnati Chili. 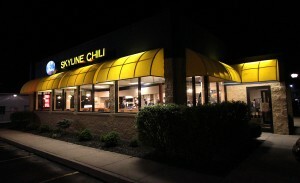 I was at Skyline then, one of the many ubiquitous chili hot spots to be found in the Cincinnati area. It’s a very strange phenomenon to me, this regional food delight. While everyone has certainly heard of chili, almost no one I polled knew anything about how it is served in the Cincinnati area. There are two major distinctions which set Cincinnati chili apart. First, its unique ingredients. Chili, Cincy style is often made with things like cinnamon, allspice, and…cocoa powder!!! That last one is as delicious as it sounds. Trust me. The second oddity of this dish comes from how it is served. Its consistency is more liquid, making it perfect to put on top of spaghetti. Oh yes. It is commonly served on top of spaghetti, with fresh diced onions, beans, and a heaping mound of shredded cheddar cheese melting perfectly over the dish. I have to confess, my first attempt to eat it with spaghetti was a failure. But, I quickly realized that it was because of the way the spaghetti was cooked. That is to say, overcooked. 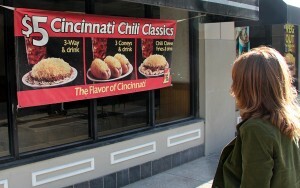 Cincinnati does chili brilliantly. They don’t necessarily do spaghetti. So, this trip, I did what any self-aware person who is at least as smart as Pavlov’s dog would do: I ate it by itself, or on top of a coney dog. If the category of Presidents came up in Jeopardy! and I didn’t know the answer, I would always guess “Who is Taft?” You’d be amazed at how often I was right. My theory was that Taft was famous enough to be known as a president, but didn’t do anything famous enough as president to be widely recognized. One trip to his childhood home in Cincinnati, Ohio disavowed me of that notion, and catapulted Taft into the top spot as my favorite President. Highlights of the tour include recordings of various campaign speeches Taft made, and, always a favorite with me, animatronics! Taft’s son, Charles Phelps Taft II is depicted in fishing gear, animatronically spinning yarns about his ol’ man and the rest of his family. Show me a man’s life as depicted by some sort of robot, and I’ll listen. 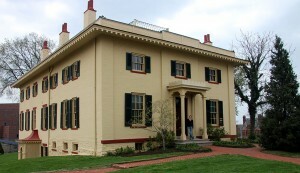 Fortunately, Taft is a worthy subject, and the Taft National Historic Site is a must see for everyone! There are times in life when you go looking for some sort of delicious food. Sometimes, what you find instead is the place where Neil Armstrong hangs out. Lebanon, Ohio is a perfect example. And yes, knowing how reclusive Neil Armstrong is, I am aware that Lebanon, Ohio is the only example. We started out looking to consume sugar-cream pie and sauerkraut balls at the wrong restaurant. This is what happens when human memory combines with an outdated GPS. Grumbling stomachs cannot be ignored. 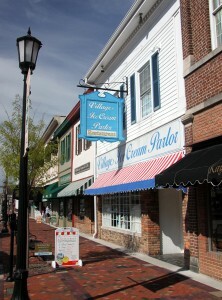 So, after a nice stroll in historic downtown Lebanon, we decided to eat at a place called The Village Ice Cream Parlor and Restaurant. I am someone who believes that the longer the name of your establishment, the better it’s bound to be. The VICP&A did not disappoint. One incredible milk shake, another fully-loaded chili dog (because I am an addict), and a green mint chip ice cream cone to go. The best part, however, was discovered at the entrance. Sure, presidents and governors have enjoyed a bite or two here over the years. But none of them have ever stepped foot on the Moon. 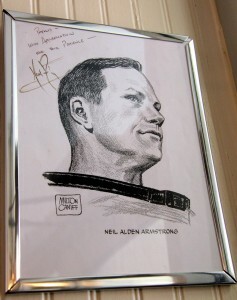 Neil Armstrong lives on a farm just outside of Lebanon, and has been known, on an occasion or two, to pop into town for a hair cut, dinner, or a good old fashioned diner experience. I may never follow his footsteps on the Moon, but it still felt good to follow in them in Lebanon. One of the best things about being in Cincinnati is how close you are to Kentucky. This in no way diminishes my experiences here in Cincinnati, I just have great love for the Bluegrass State and I was hoping there would be a good reason to cross the Ohio river this trip. Thankfully, a hilltop park in Covington, KY, called Devou – with its fantastic views of the Cincinnati skyline – provided just such an excuse. As I have limited photographic ability (I can press the button and hope for the best), I left the picture taking to my traveling companion. Instead, I perched myself on top of a picnic table to take in the fresh spring air and the beautiful view bellow. The park was fairly full: couples enjoying the coming of the warmer weather, and people walking their dogs. I was feeling good to be in Kentucky. Looking around me, I noticed how clean the park was. No garbage, no graffiti. It was a pristine area and a great place to watch the sun set over the city before enjoying another delicious meal of chili. What a perfect night. The local beside us quickly dismantled his tripod. My companion and I shared a glance. I knew we weren’t packing it in just yet. He was only moments away from “the shot”. The local, however, was already making his way down the hill after bidding us a hasty but friendly good-night. As I turned to reply, the officer shouted out again. As we ran down the hill toward our car, cameras in tow, I think I discovered the secret to keeping a park so beautiful: heavy and strict enforcement of the law. I can respect that. All of the best things in life start with the word Jungle. The song Jungle Love, by Steve Miller Band. The song Jungle Love, by Morris Day and The Time. The movie Jungle Fever…which wasn’t so good. So, a majority of things that start with the word Jungle are really good. Jungle Jim’s International Grocery Store is no exception. This is where the good citizens of Fairfield, Ohio get to shop for produce and meat and, well, as it turns out, everything on the planet that is eatable. 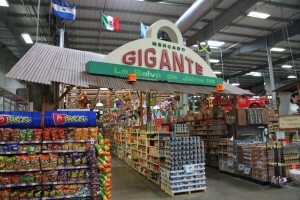 When Jungle Jim claims that his grocery store is international, he sure means it. Now imagine rows like this of British food (yeah, marmite essentially, and some horlicks); German food, Japanese food; Ukrainian food; insert country with food here, food. This endless expanse of groceries and goods from every corner of the world is as exciting as it is dizzying. Things talk. Not living things, but soup cans, and Robin Hood in Sherwood Forrest. It’s as if Graceland – and 1970s Elvis, I suppose – had both exploded and began to sell foodstuffs. A quick peak inside turned into a 2 hour detour and a shopping cart loaded with sauces and spices and rubs and other items that would never be found outside their natural habitat. 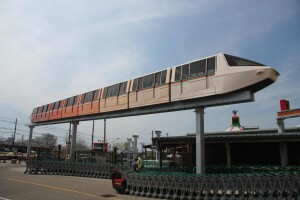 Also, for no reason, there’s a monorail outside. Oh, it may not work, but who cares? 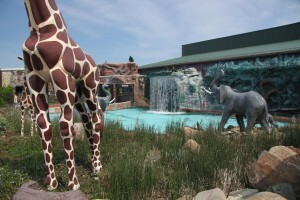 Everything else about Jungle Jim’s does! 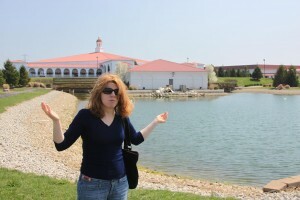 by Lisa Giulietti in: Ohio Comments Off on Maybe for Easter? I was hoping to see some improvement after a year. With Easter just around the corner, I guess I was hoping for a miracle. This is what I found. Maybe someday, Touchdown, we’ll meet again. Godspeed. You just walk out of a balloon from above the Earth? Good God! by Lisa Giulietti in: Ohio Comments Off on You just walk out of a balloon from above the Earth? Good God! There is a man who jumped 102,800 feet to the Earth from a balloon. 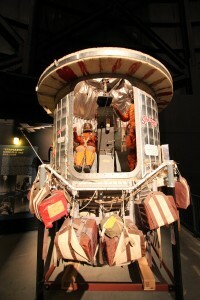 His name is Joseph Kittinger, and the gondola, balloon capsules, and suit he wore during this epic feat are on display at the National Museum of the U.S. Air Force in Dayton. That's the Freaking Earth Way Down There! 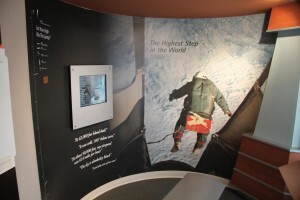 In 1959, Kittinger, then an Air Force Captain, transferred to the Aerospace Medical Research Laboratory at the Wright-Patterson Air Force base in Dayton. There, he was assigned to Project Excelsior, which researched the effects of high altitudes on pilots in preparation for the coming manned space program. Mostly though, they just wanted to see how high an altitude a person could safely parachute back to Earth – just in case things ever went badly up there. The most reasonable way to accomplish this, apparently, was to have a man walk out of a balloon. In the end, the experiment was a success, and his work was valuable. But let’s just look at it from this point of view: 102,800 feet is really high – and though I have none to speak of in either the metal or flesh variety – you really do have to have balls of steel to go 20 miles into the sky in an open-air gondola being raised by a balloon. Let alone jump. I am once again ashamed of my cowardice during this blog process (see my post on St. Louis), and salute the 82 year old retired Colonel Kittinger. He now lives a quiet life in Orlando, Florida, and may he live another 82 years. Frankly, if you survive this, you deserve to Never Die.